The story of the birth, life, and eventual demise of Canada’s first gay newspaper. This sweeping historical drama re-imagines the events and personalities surrounding one of the most potent journalistic forces in our country, and the legacy it has left behind. 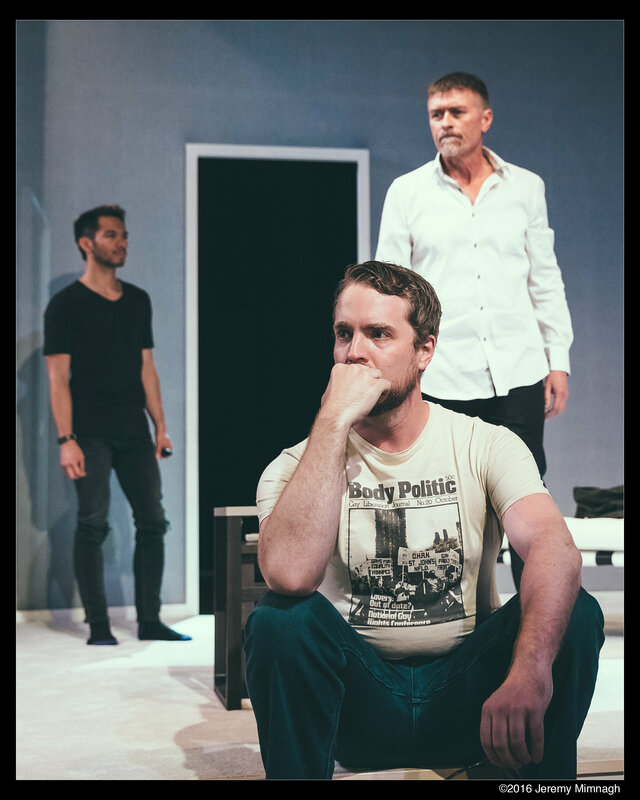 The story unfolds as a series of memories recounted by a founding member of the paper’s collective during a sexual encounter with a young man. Their unexpected relationship shines light on the massive shifts in queer identity and politics in the last 50 years – the disappearing of a history and the loss of a unifying struggle. As Toronto’s queer media landscape shifts again with the end of the printed editions of Xtra!, Body Politic looks back at the very beginning of it all and the story of Canada’s first gay newspaper. 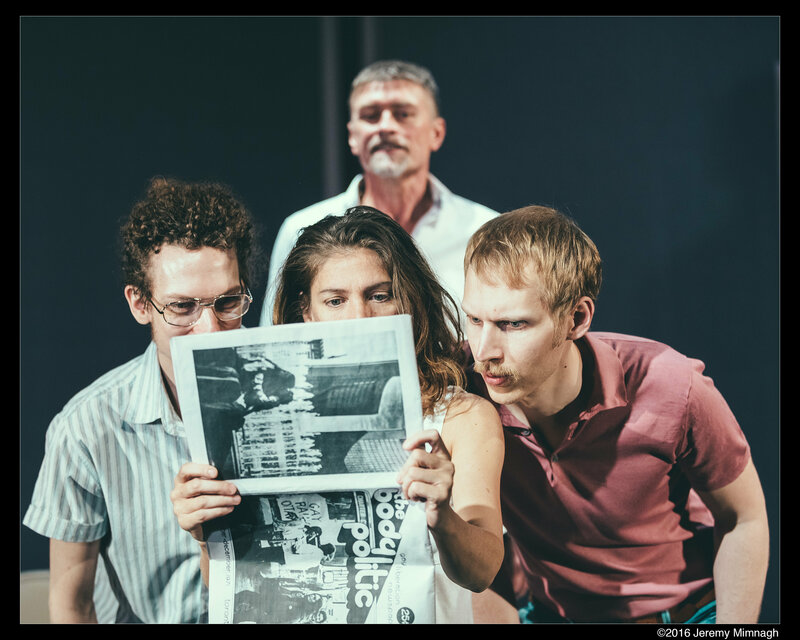 After years spent interviewing people involved in the making of the newspaper, playwright Nick Green brings to life the legal, political, and personal struggles surrounding one of Canada’s most important queer publications. 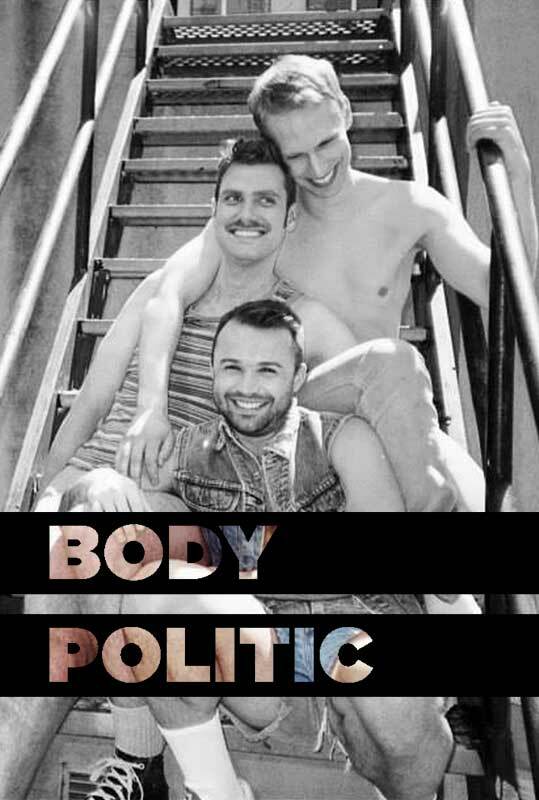 The Body Politic, published from 1971-1987, remains one of the most significant drivers of queer politics and history in Canada. Collectively owned and operated, this newspaper housed the voices of over one hundred of Canada’s foremost queer activists, artists, poets, and writers. With 16 years of archives available, The Body Politic survives as a record of Canadian queer history at some of it’s most seminal moments: censorship battles, police raids, historic rallies, the onset of HIV/AIDS, and many of the important debates that still resonate in today’s queer politic. The development and production of this project is made possible with the support of Toronto Arts Council, Ontario Arts Council and Canada Council for the Arts. 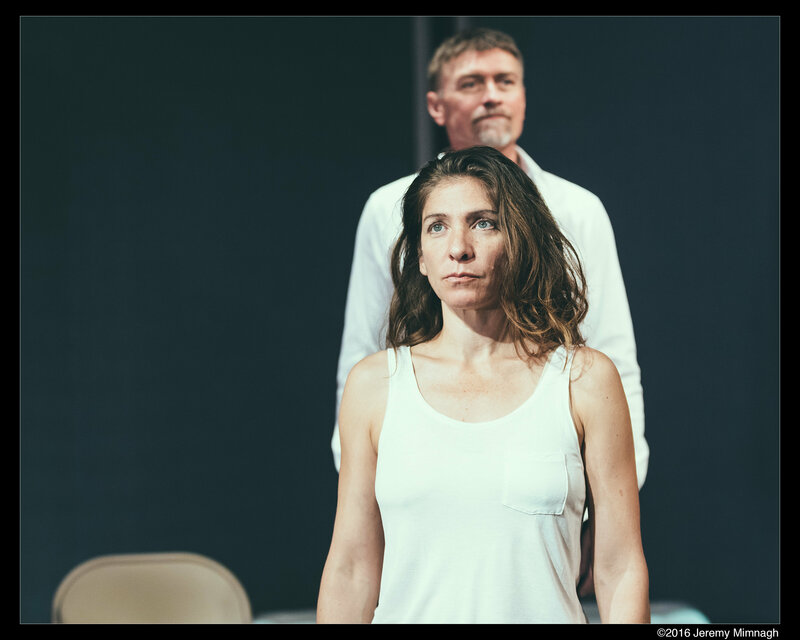 This play was developed in residency at Buddies in Bad Times Theatre from 2013-2015.The initial development of this project was made possible through funding from Ontario Arts Council’s Theatre Creators’ Reserve Grants recommended by Buddies in Bad Time Theatre, Cabaret Company and 4th Line Theatre. lemonTree creations is proud to be able to offer the following accessible performances through funding by COMMUNITY ONE FOUNDATION. 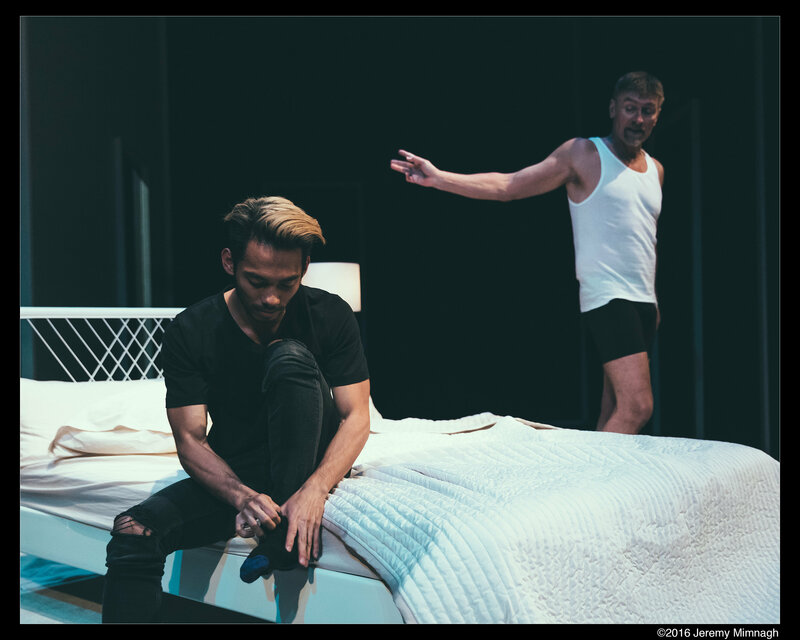 Our venue and co-producer Buddies in Bad Times Theatre is a physically accessible venue, with washrooms located on the lower floor accessed by elevator. On June 8th, audio description will be available at the 8pm performance. Audio Describers are Rebecca Singh and Kat Germain. Consultant Rose Jacobson, Picasso Pro. On June 11th, ASL interpretation and surtitles will be provided at the 2:30pm performance. ASL Interpreters are SAGE and Jamie O’Connell.